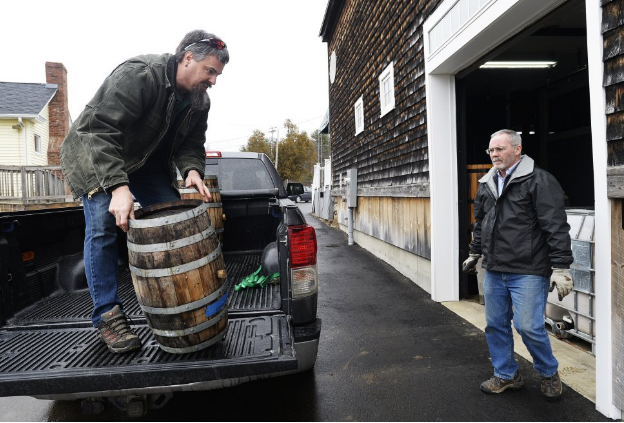 YORK, Maine -- Norm Hebert said, “Dave Woods is the definition of a true entrepreneur,” after Woods and his son, Dave Jr., rolled out the 500th barrel from their Wiggly Bridge Distillery Saturday afternoon. A special St. Patrick’s Day whiskey tasting event on Saturday had a very philanthropic purpose, being a fundraiser for Lydia’s House of Hope, in Somersworth. Donation drop-off locations were set up throughout southern Maine, and included outlet stores in Kittery, the First Parish Church, York Region Chamber of Commerce, and the Wiggly Bridge Distillery, all in York. Every Saturday during the campaign, the WRP trolley, affectionately named “Stella,” made trips to various locations to collect the donated coats -- and to spread holiday cheer. Swirl, sniff and sip? That doesn’t cut it anymore for spirits aficionados and cocktail enthusiasts looking to whet their whistle with a hands-on experience. These distilleries up the booze game with bottling workshops, mixology classes, and more. 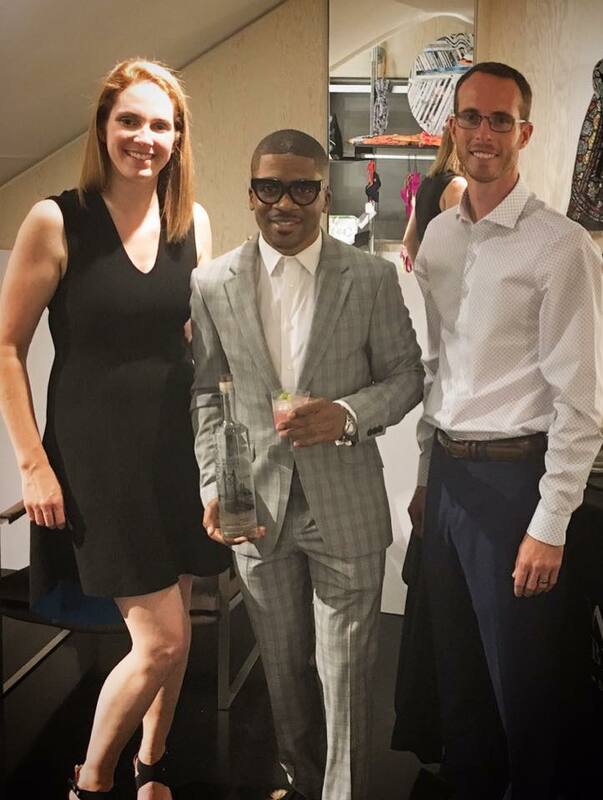 Wiggly Bridge Distillery, a local family owned and operated business that has earned a reputation for their award-winning, small batch spirits, was asked to represent their product in a collaboration with Romeo Hunte New York, a contemporary luxury fashion brand in New York City this past Friday, Oct. 27. 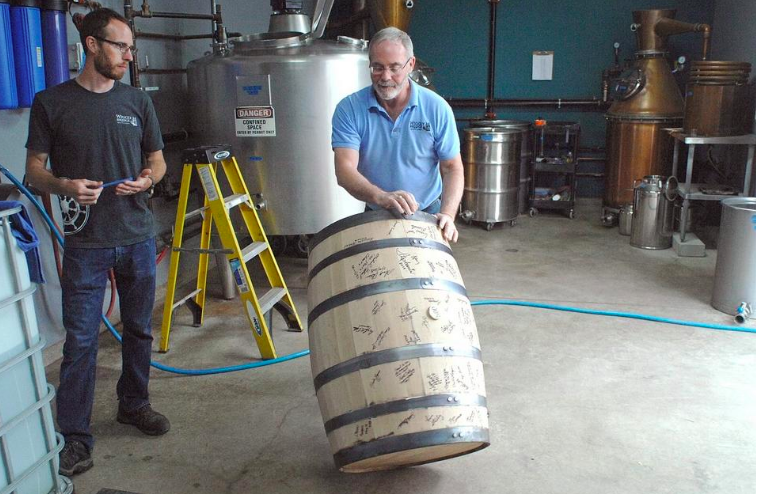 The fundraiser, titled “Raise the Barrel and Your Spirits” brought together more than 30 people who participated in a fun and invigorating workout at the unique venue of the Wiggly Bridge Distillery Barn in York. 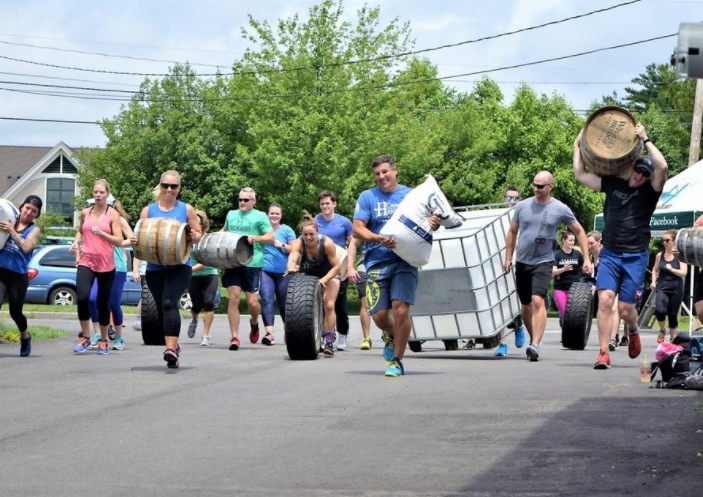 In addition to those working out, many more community members and supporters came out to watch and cheer on their peers lift bags of grain, various sized whisky barrels, mash totes, and tires. This unique and fun fitness program was coached by CrossFit Harpoon. 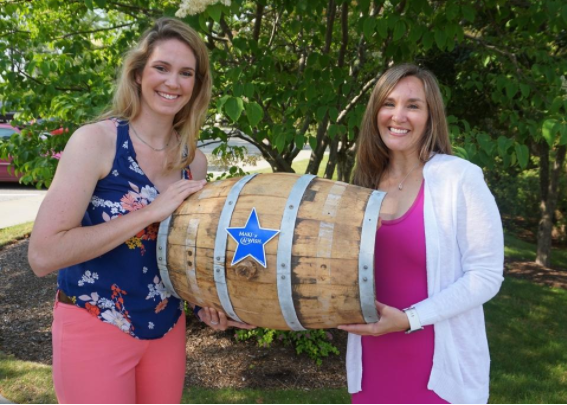 Wiggly Bridge Distillery, a local small batch business, has announced a philanthropic partnership with Make-A-Wish® Maine, and is inviting the community to a feel-good, fundraising event on July 15 at the Wiggly Bridge Distillery Barn on Route 1. 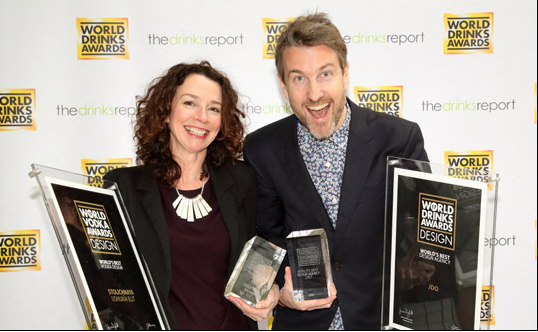 Best Design Effectiveness Wiggly Bridge Distillery Small Barrel Bourbon "A fresh, contemporary design incorporating classic elements. The men are believed to be the first Mainers to jump on a trend that is spreading through the rest of New England like autumn colors on a mountainside: They’re making rum and bourbon barrel-aged maple syrups that they hope will lure more sophisticated palates and raise the value of Maine syrup. The artisanal booze biz is growing at a 40 percent annual clip, giving the cocktail generation new batches of gins, whiskeys, and liqueurs. Here's a look at some of the newest adult beverages. 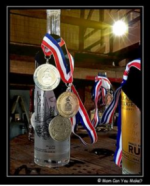 This week's Made in Maine features award winning handcrafted whiskeys, rums, and vodkas produced locally at a York distillery. 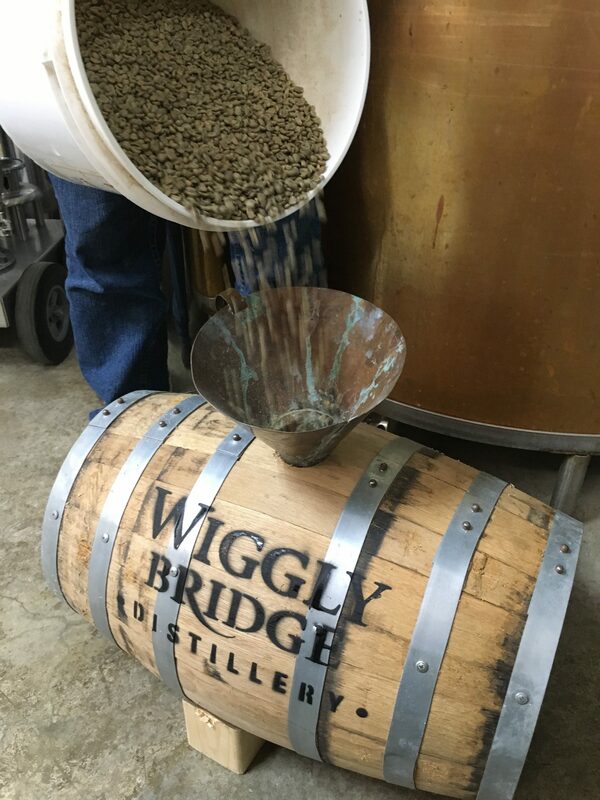 One distillery in Maine seeming to be doing this right is Wiggly Bridge, a young outfit whose bourbon recently became available outside of the state. Family-made, handcrafted goods of any kind tend to possess something special about them that big companies can’t produce. That sentence might bring to mind things like furniture, artwork and food, but at Wiggly Bridge Distillery, it means whisky – and good whisky at that. Run by a father and duo who have a taste for good spirits, Wiggly Bridge Distillery provides York and the surrounding area with some of the finest small-batch whisky and rum around. AUSTIN, Texas - On Sunday, Feb. 15, the winners of the Second Annual Craft Spirits Competition were honored during the Awards Dinner as part of the ACSA Distillers Convention and Vendor Trade Show in Austin, and York, Maine-based Wiggly Bridge Distillery hit a trifecta with a 1st, 2nd, and 3rd place finish in the 2015 American Craft Spirits Association's Craft Spirits Judging Awards. 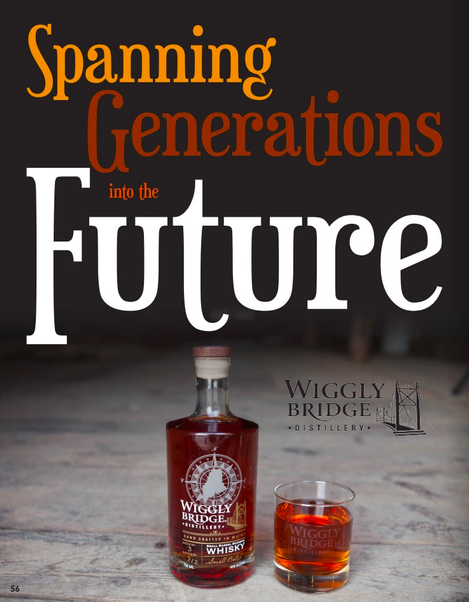 I recently had the chance to meet with the very impressive folks from Wiggly Bridge Distillery, a family owned and operated business in York, Maine. 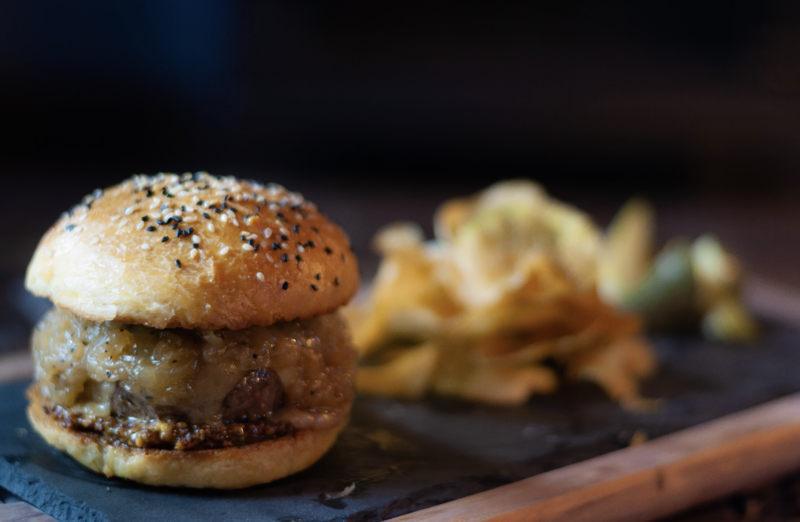 You’re probably wondering what a food blogger is doing in a distillery? I think I have friends in all the right places! Last Wednesday, I day tripped down to York, Maine and had a delightful peek into the spirited life and business of the Woods family. Dave, his son David, and daughter-in-law Amanda run Wiggly Bridge Distillery on the main strip in York. Dave Woods, 59, owner and operator of Wiggly Bridge Distillery in York, Maine, wasn’t deterred by the rules. Prodded by his son, he began distilling spirits on Montserrat in the Caribbean where he owns a home. That went well, but Woods wanted to do something to keep himself busy in Maine.